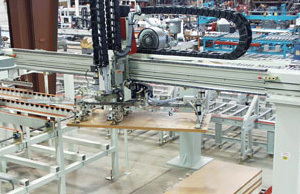 Rotating Machinery Custom Designed by Creative Automation for the Wood and Related Industries – Creative Automation, Inc. 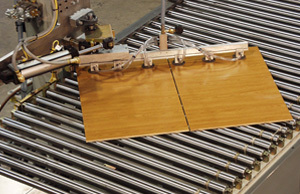 Many Custom Rotating options are available from Creative Automation, including clamp, vacuum and cone turners. 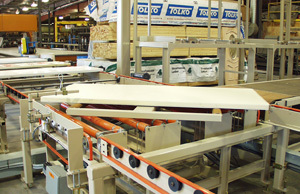 This door feeder has an integrated 180 degree rotator. 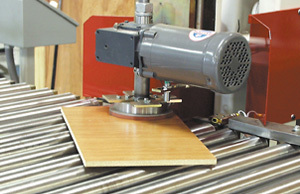 Vacuum turner rotating split panels.